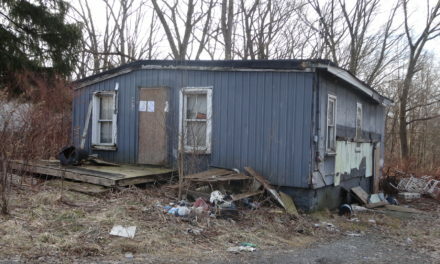 Brookfield trustees on April 11 hired a company to clear away the fire-damaged mobile home at 830 Boyd St. in Masury and will use money provided by State Farm. Giglio Inc. of Brookfield was hired on a quote of $2,450. A second quote was for $4,500. 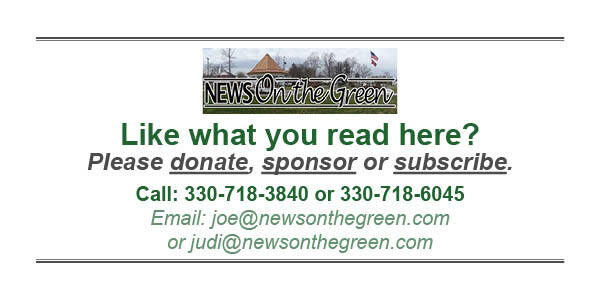 The work does not include a shed or a swimming pool also on the property because they were not damaged by the fire, said Trustee Dan Suttles. 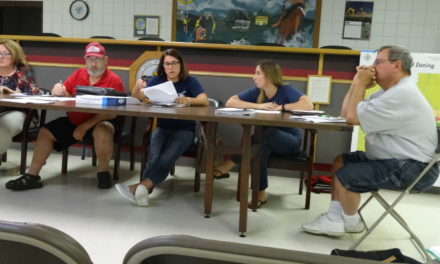 While property owner Dawn Ross has been informed by the township that the pool violates the Exterior Property Maintenance Code, the Trumbull County Health Department is pursuing that matter, Suttles said. The mobile home was destroyed in a July 6, 2017 fire. It stood for some time in its fire-damaged state, and then was partially dismantled and finally collapsed, the debris left on site. 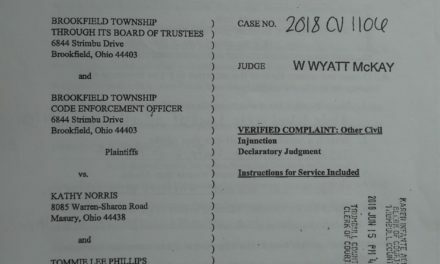 In a complaint filed with the Ohio Department of Insurance, Suttles alleged State Farm violated state law by failing to escrow money with the township to use for demolition of the property. After the department received Suttles’ complaint and contacted State Farm, State Farm did additional checking and discovered that the site is within Brookfield Township, McKitterick said. 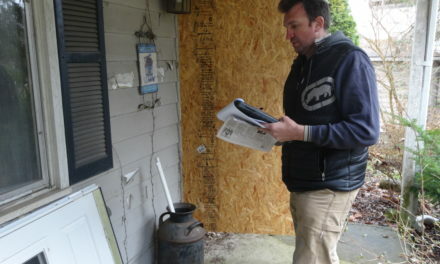 State Farm acknowledged making a “mistake” and sent $3,920 to the township, he said. Department Analyst Marcia Waller-Preston said in a letter to Suttles that the department considers Suttles’ complaint resolved. Any money from State Farm that is not spent on the project will be returned to the company. 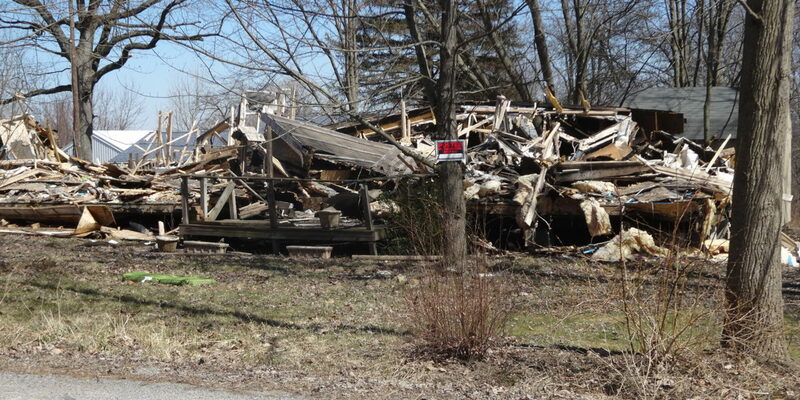 Giglio also will grade the area where the mobile home stood.